A little break in the South American wine action to bring you some Argentinian cocktail love! 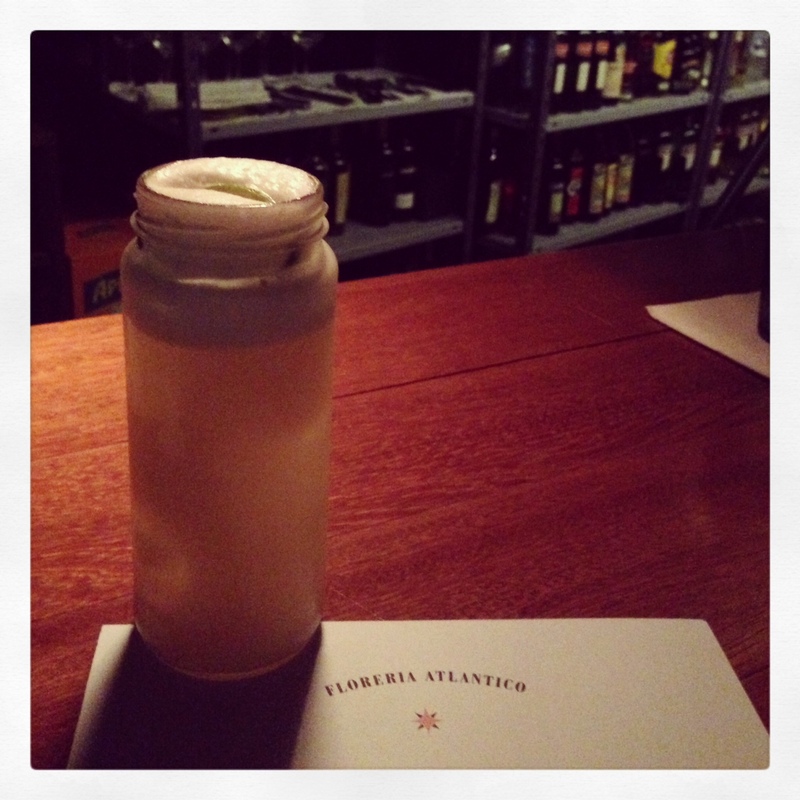 On my last night in Buenos Aires, went to this super cool bar called Floreria Atlantico. You have to walk through a small flower shop/wine store and go down these rickety spiral stairs to get to the bar. Loved it! Among the warehouse-feeling racks of bottles, they had a great wine list and awesome tapas (we had BBQ octopus and chard fritters with mint sauce) but I wound up getting cocktails. Mine was called the Transatlantico Fizz and had whiskey, egg whites and yerba mate in it among a few other ingredients (see menu below). So good and such a cool find on my last night. 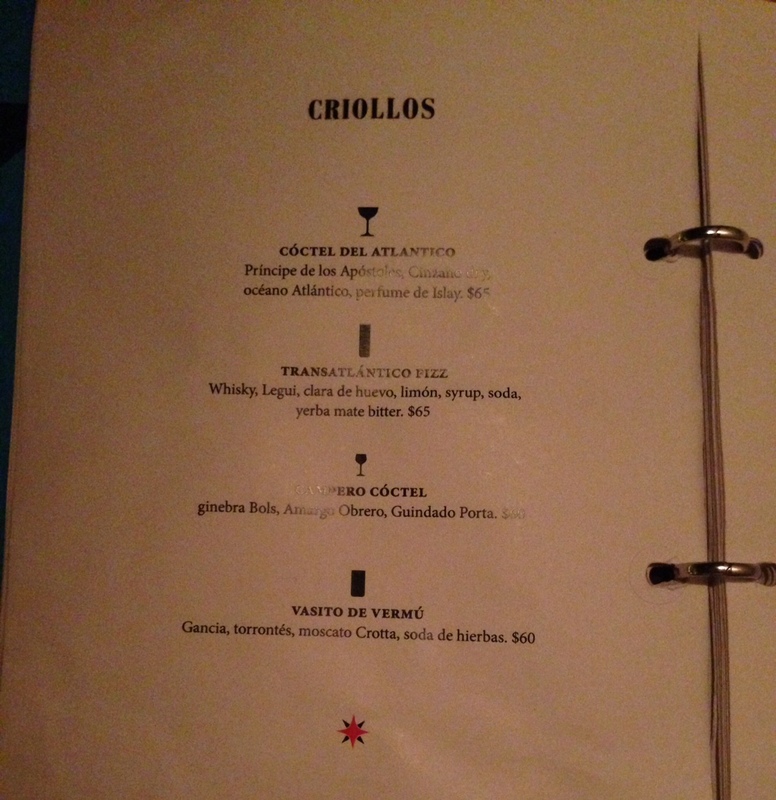 Tags: cocktail, cocktails, food & drink, whiskey, yerba mate. Bookmark the permalink. Tell me the prices on the menu weren’t in American money!? Sounds like a pretty cool place and a great cocktail!